Mount'n Mover single arm table attachment with 7.5” long arm, offers flexible, limited positioning attaches a Mount'n Mover to a table device. Single arm offers significantly more reach than the Tilt’n Turner. 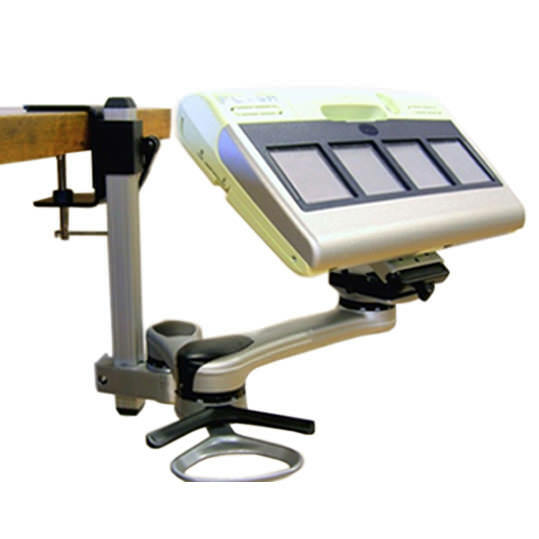 Single arm table attachment has 3 settings- flat, vertical and 45 degrees. 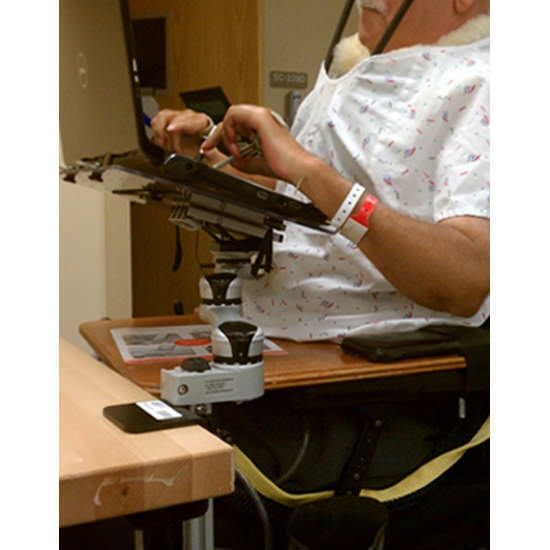 Mount'n Mover single arm table attachment provides reclined access beyond 90 degrees for use from bed. 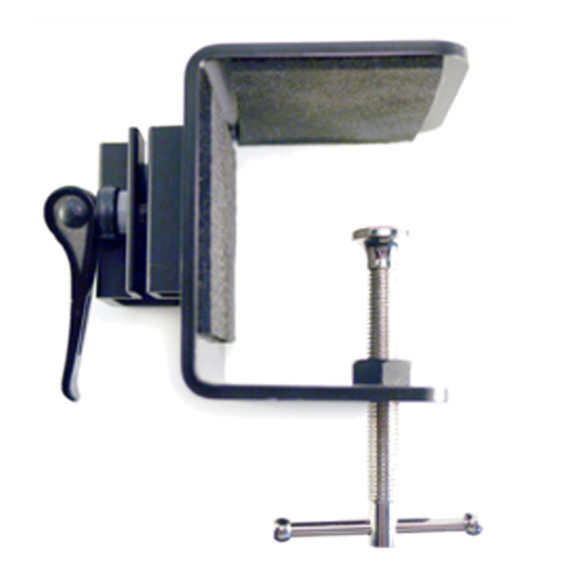 Single arm table attachment even provides a Tilt'n Turner which is simple and secure–positions devices right at your fingertips; easy access at an affordable price. Manufacturer warrants this product to be free of defects in materials and workmanship for a period of One year to the original purchaser. Warranty does NOT cover repairs for damage resulting from misuse, such as collisions, failure to properly attach the mount securely, or poor set-up and care. Standard manufacturer terms and conditions apply for the warranty of this product.